Highly recommended. Peter Chow was very professional and has restored our car to showroom status - looks brand new! Excellent service! Thanks again. Great service from Peter Chow, picked up my car from my office and delivered back in the evening. Scratch and dent to my bumper was fixed perfectly. Highly recommended! Peter Chow was excellent. Very efficient, helpful service, and a great job. Highly recommended. I have no hesitation in recommending Peter Chow, following his recent repair of a dent and paintwork damage to our VW Polo. An excellent standard of paint finish, very friendly and efficient service including pick up and drop off. I will certainly consider ChipsAway again the next time we have to experience too close an encounter with a lorry on the South Circular! Having found my car had been grazed, I obtained a few quotes. I'd been recommended ChipsAway so contacted them. Peter responded quickly and I sent him some photographs of the damage. He gave me a quote and I was lucky that he could do the work within the next few days. Once agreed, he came and collected my car one evening and ... Read more brought it back the following evening. An excellent, hassle-free service and the job is very well done. And, I should add, at about half of the price quoted by the marque's garage! We used Peter Chow who is based in South West London. I was amazed. The paint is metallic and I thought this would be an issue but honestly you would never know that the car had been quite badly scratched. Excellent service and perfect work. Thank you Peter Chow. Fantastic serivce and work, thrilled to have my car immaculately restored. - I had my Audi A3 repaired by local ChipsAway specialist Peter Chow. Peter was so helpful in finding a time to do the work, collecting the car and returning it and the finish is just outstanding, I've been trying to see any evidence of the repair and it just ... Read more looks like new. I'm totally thrilled and couldn't recommend more. Best decision to go with Peter Chow! Professional flawless work completed in promised time. Good communication, responsive, considerate. Able to adjust to client's schedule. This is the second time I have had Peter Chow repair my car, who represents clients in South London for ChipsAway. He replaced a front wing and repaired and painted all along the left hand side of my car. He is very professional and his work is excellent. 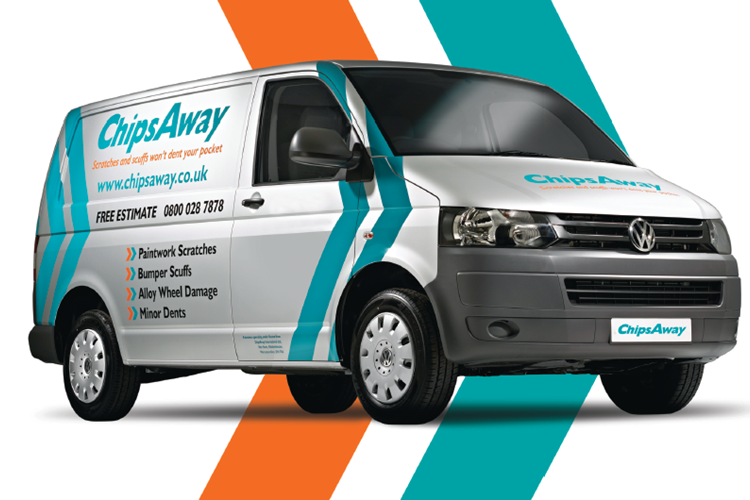 I can definitely recommend Peter and Chipsaway for their excellent service. Peter Chow provided an excellent service. Collected the car from my home and was in contact throughout the repair regarding any questions or issues he found. The repair work is amazing, it looks brand new. He even worked late to deliver the car in the agreed time as I needed it early the next morning! I would definitely recommend using ChipsAway and Peter in particular! I put a few tenders out online to specialists regarding fixing a dent in the tailgate of my BMW touring having had an extortionate quote by BMW themselves. Chips Away, specifically the nearest technician to me, Peter Chow contacted me with a quote within a few hours. Once we agreed the quote, he arranged to come to my offices to ... Read more pick up my car, take it away and return it to me within 24 hours. The work carried out was of an excellent quality and the dent gone completely. I would highly recommend ChipsAway and Peter Chow to anyone in the south London area. Excellent process from start to finish! Peter Chow got back to me on the same day with an estimate for the repair. We arranged a date for the car to be collected and it was returned to me the following day - all fixed. Excellent!